Your fleet stands ready to do your bidding. 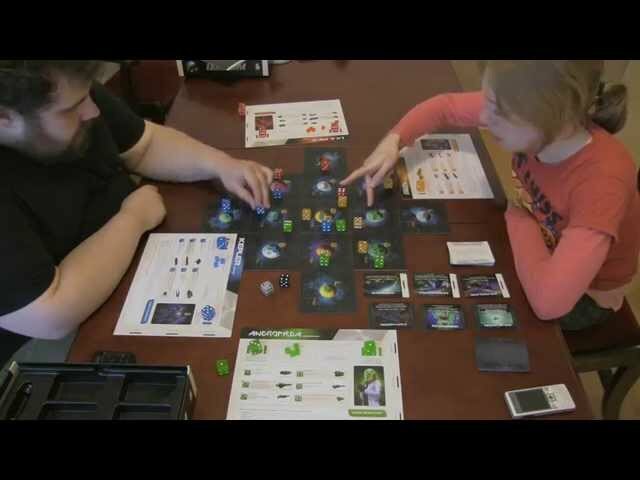 Quantum is a board game of space combat, strategy and colonization where your ships are dice. Winner of the 2012 Game Design Award at the IndieCade Festival of Independent Games, Quantum is a game where the number on the dice face represents your ship's speed and combat strength - a 6 is a quick but fragile scout, and a 1 is a slow but mighty Battlestation. Together with the various special powers of each ship and the infinitely modular maps, and Quantum adds up to a game of strategy and decision-making with gorgeous components and art. 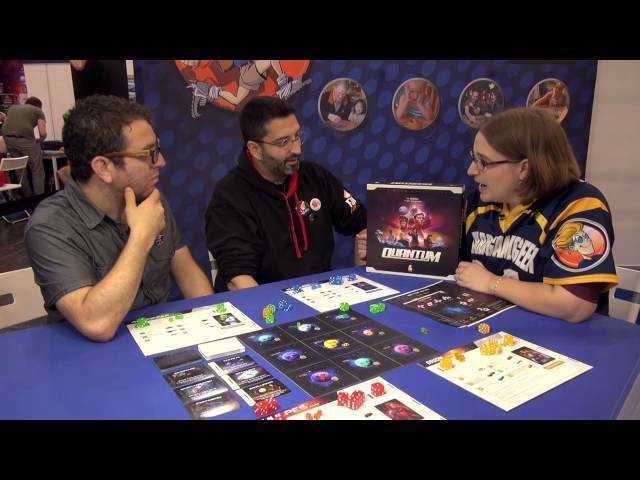 Buy Quantum for a game of elegant mechanics and easy-to-learn rules that lead to deep gameplay.